Deep within the Amazon rainforest, the largest protected area in Peru contains a flooded tropical forest called the “Jungle of Mirrors”. The Pacaya Samiria National Reserve is the second largest protected area in the Amazon region, and covers a vast wilderness of unexplored forests, lagoons, inlets and rivers totaling over 5 million acres, that is twice the size of Yellowstone National Park! The reserve is located in the Northeast of Peru, just over 100 km away from the nearest town of Iquitos at the origin of the Amazon River. We’ve gathered all the information you need in one place, from advice on when to visit and how to travel, to accommodation options and an overview of what not to miss. Pacaya Samiria represents 1.5% of the country’s area and the park encompasses and protects rich biodiverse tropical forest, as well as culturally rich indigenous populations. The reserve was established in the early 80s by the Peruvian government, and currently follows an integrated management approach to benefit animal, plant and human populations in harmony. Visiting the Pacaya Samiria reserve will allow you to observe an incredible abundance of endemic wildlife such as the famous pink river dolphins, brightly colored macaws and butterflies, endangered gentle giant manatees, and a variety of unique plants like giant Victoria lily pads, and exquisite orchids! What's the best way to tour this breathtaking reserve? By an Amazon River cruise, of course! In 1982, the Pacaya Samiria National Reserve was established by the Pervuian government to preserve the vast wilderness, high biodiversity and pristine landscapes within this Amazonian region. The reserve encompasses over 5 million acres, representing 1.5% of the country’s area. Pacaya Samiria National Reserve is the second largest ecological reserve in the entire Amazon basin, second only to the Grão-Pará Ecological Station in Brazil. The park’s principal objective remains clear: to protect the biodiversity of the flooded forest (known as varzea) in this region. However, management strategies have changed drastically over the last few decades, from previous exclusion of locals to incorporation of indigenous peoples in management roles. In recent years, the reserve’s objective has expanded to include the promotion of sustainable development of indigenous peoples within the park. This integrated management style of including local populations has had a tremendous positive impact on the overall conservation effort within the reserve, including a reduction in hunting pressure and an increase in wildlife populations. Once local populations were given areas to manage, a positive shift occurred and many now view the reserve as a strong socio-economic benefit to their area, making the Pacaya Samiria an example of successful living community eco-tourism. This national reserve is part of the National System of Natural Areas and is protected by the Peruvian Government, by administration in both Lima and Iquitos called Servicio Nacional de Áreas Protegidas. There is a Master Plan for the Conservation of the Biological Diversity and Sustainable Development of the Pacaya Samiria National Reserve, which dictates conservation and management strategies implemented within the park. Tourists who visit the park must pay an entrance fee, and are only allowed access to pre-determined zones of the vast reserve in order to protect the natural landscape from negative anthropogenic impacts. The habitat types found in the Peruvian Amazon resulted from large scale geologic events during the tertiary and quaternary periods. The Samiria River basin sits in the Pevas lake bed, which formed during the uplifting of the Andes, and leaving a geological depression characterized by soft alluvial soils. This depression in western Amazonia allows the vegetated landscape to transform into the flooded forest that the region is known for. The Amazonian rainforest, including regions of Peru, is responsible for 20% of the oxygen on the entire planet. Approximately 50% of the country of Peru is covered by forest, and the country is characterized as having a multitude of tropical climates. The country is in close proximity to the equator to the North, bordered by the Pacific ocean in the West, the Andes mountains along the East and dry, desertic conditions to the South. This remarkable mosaic of varying landscapes provides a number of niche habitats to many species of flora and fauna, explaining why Peru has such high biodiversity. Peru’s tropical forests provide a humid warm environment; within the Amazonia region, conditions include abundant rainfall of 2000-3000 mm/ year and warm temperatures from 20-33 C. These climatic conditions are highly beneficial to the growth and lifecycles of a wide variety of plants and animals. These old growth tropical forests also provide 3D structure comprising several layers of vegetation from the forest floor on the ground to the tall canopy in the air. Plants and animals in tropical forests are extremely well adapted to their environments, each species inhabiting a specific niche within the ecosystem. This particular biome, or network of ecosystems throughout tropical forests, are thought to be the oldest on earth, the diversification of plants and animals within the Amazon are extremely intricate, unique and fascinating. Though the Pacaya Samiria is considered a national park, several indigenous communities remain inhabitants of the Amazonian forest within the reserve. In total, the indigenous population includes approximately 42 000 people, which have inhabited this region for hundreds of years. There are 94 communities and 21 of them are of the unique Cocama ethnic group. The indigenous populations that live within the reserve rely on fishing, gathering, hunting and subsistence agriculture. During the low water, or reflux season, there are several crops such as rice, beans, and peanuts, which are grown along river shorelines in the flat, fertile soil. In recent years, indigenous communities have benefited from tourism, either by selling authentic handicrafts or by providing tours of their community or forested areas. The reserve provides a number of jobs for locals, which reduces pressures on the population to hunt or harvest wood illegally. This preserves the natural state of the Amazon jungle and has a positive socio- environmental impact within this incredible region. Tourism will undoubtedly remain an important income stream for native communities. Visitors to the park by Amazon riverboat cruise are encouraged to buy handicrafts at fair value from local artisans. The tourism industry helps to preserve the national park by providing jobs which reduce the pressure to hunt and harvest wood illegally. Thus, participation in a tour of the Amazon jungle helps to preserve the jungle by providing economic alternatives to local populations. At Rainforest Cruises, many of our cruises offer excursions to local communities and villages where you can meet and interact with locals. Here you'll learn more about the way of life in the Amazon, try delicious local cuisine and purchase many one-of-a-kind artisan handicrafts. You may also have the opportunity to spend some time at a school or talk to the community's medicine man. Some of the greatest levels of biodiversity within the Amazon, also occur within the Pacaya Samiria reserve. Many animals come to mind when you think of the Amazon – river dolphins, macaw parrots, tarantulas, piranhas, and anacondas – but did you know that birds have the highest number of species found? To date, scientists have discovered a staggering number of species including 527 birds, 102 mammals, 69 reptiles, 58 amphibian species, 269 types of fishes, and over 1800 species of plants. Several years ago, a team of bird scientists recorded over 354 species in just 24 hours, and it has since been discovered in 2015 by Cornell researchers that Peru has the highest density of bird species per area in the world! Giant centipedes- the Amazon is home to the largest in the world, sharp claws can inject a painful venomous bite! Yikes! Leafcutter ants – these ants cut characteristic chunks out of leaves and along with many other ant species make up 30% of the biomass in tropical forests! The Pacaya Samiria National Reserve is a vast protected area, located in the Northeast of Peru. This forested region encompasses the Loreto, Requena, High Amazon and Ucayali provinces, and is bordered by two major rivers: the Maranon and the Ucayali. These two rivers converge in the Ucamara depression, giving the origin of the Amazon river. The Amazon River basin is the longest extensive rainforest in the world. The Pacaya Samiria is the largest area of protected flooded forest within the Amazon rainforest. The reserve covers over 5 million acres and much of it remains unexplored. During the winter months from October to April, increased rains raise the water levels of rivers throughout the Amazon forest resulting in a high water season. The nickname “Jungle of Mirrors” originates during this period when large areas of the rainforest become flooded. This crescent period is the best time to explore the Pacaya Samiria by Amazon river cruise. Visitors will observe mirrored views of the Amazon rainforest, and can easily access intricate winding rivers, inlets and many lagoons within the flooded jungle. In contrast, rainfall decreases greatly during the early summer months, and rivers throughout the Amazon forest recede accordingly. This low water season is called the reflux, and occurs from May to September. The water levels reach their lowest point in August, which provides visitors to the reserve a unique opportunity to walk through forested areas. This season is also much better for activities like fishing, because marine life is concentrated within small inlets and lagoons. Surprisingly, during this season it is possible to see picturesque sandy beaches form on the river shorelines. This cyclic pattern of crescent and reflux is integral to the Amazonian river ecosystem, and provides two contrasting experiences for visitors of the Pacaya Samiria national reserve. Ucayali rivers meet. This is where you can embark on either a river boat to a jungle lodge, or your Amazon River cruise to get to the Pacaya Samiria reserve. Yanayacu Pucate Basin: This area from an indigenous community near Nauta to the El Dorado lagoon has the most campsites and shelters along the Amazon river. Samiria River Basin: This river basin allows you to visit three lagoons, the Yarina, Fortuna and Ungurahui. And you are able to stay with a native community in San Martin de Tipishca. Pacaya River low basin: Due to the topography of this basin, the forests remain flooded for most of the year, for various hiking and canoeing activities. 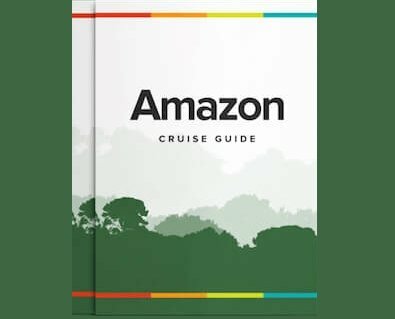 Alternatively, there are five Amazon river cruises that allow you to experience more of the reserve with guided excursions through the forests and you will be immersed in the unique Amazonian habitat along the river each day. There are currently five Amazon river cruises that venture to the Pacaya Samiria National Reserve, including the Delfin I and II, the Aria, the Zafiro and lastly the Cattleya.